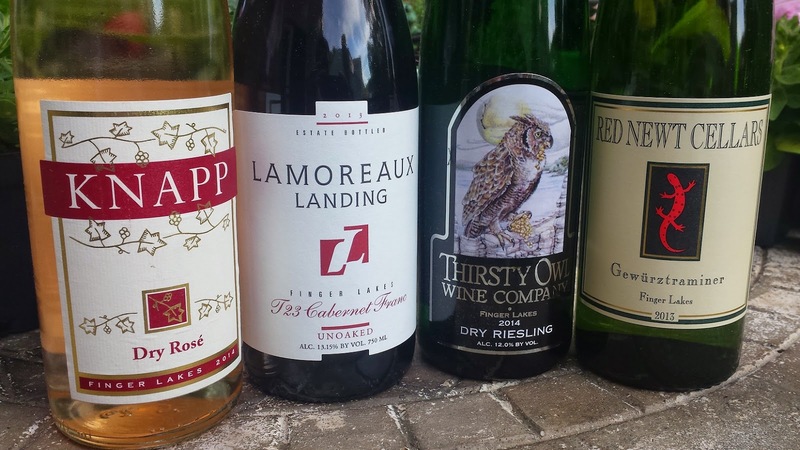 The week wraps up Finger Lakes Wine Month and to continue its marketing the Finger Lakes Wine Alliance sent our samples for a #WineHour Twitter tasting. I received wines from four outstanding wineries located off Cayuga and Seneca lakes, with all priced at very affordable levels. 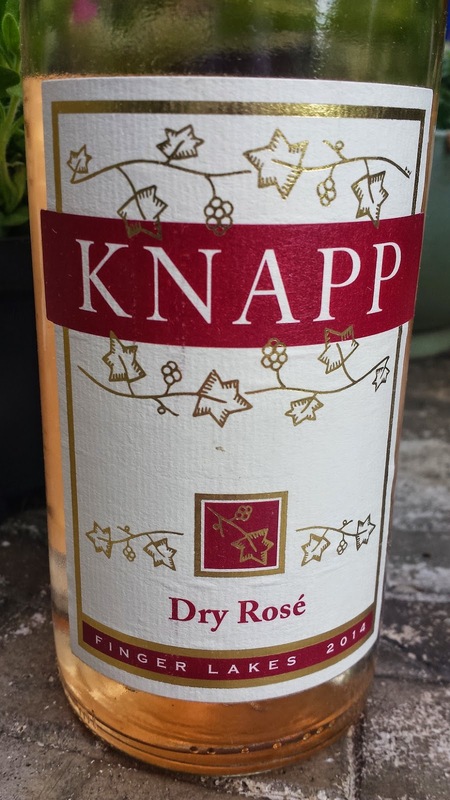 The first wine was the Knapp Vineyards & Winery Dry Rosé 2014 ($16, 11.5%), a blend of 85% Cabernet Franc and 15% Pinot Noir (sourced from neighboring Chateau LaFayette Reneau). The wine was made by slightly pressing the grapes - no saingée here - and fermenting dry - or at least to .3% R.S. The result is a very intriguing rosé where grapefruit and strawberry interplay throughout, with both evident on finish. The finish also includes some white pepper as well as refreshing acids. 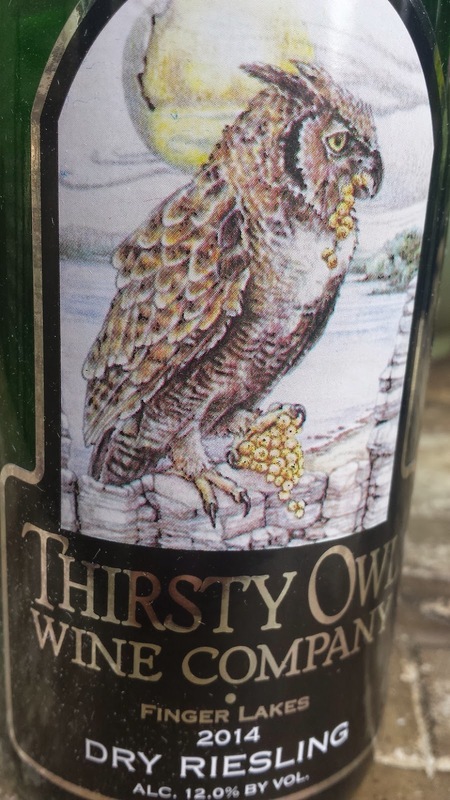 The Thirsty Owl Wine Company is located alongside Cayuga Lake (as was Knapp) and we sampled their 2014 Dry Riesling ($15, 12%) . The wine is made from three clones of Riesling; 198, 239 and an unknown clone planted back in the early 1980's by previous owners Bob and Mary Plane. The wine was fermented using two different yeast strains, so along with the multiple clones creates a more complex wine. The nose starts with petrol and lemon citrus followed by green apple, and finishes with ample acids to easily balance the slight sweetness (.6% R.S.). Very nice. 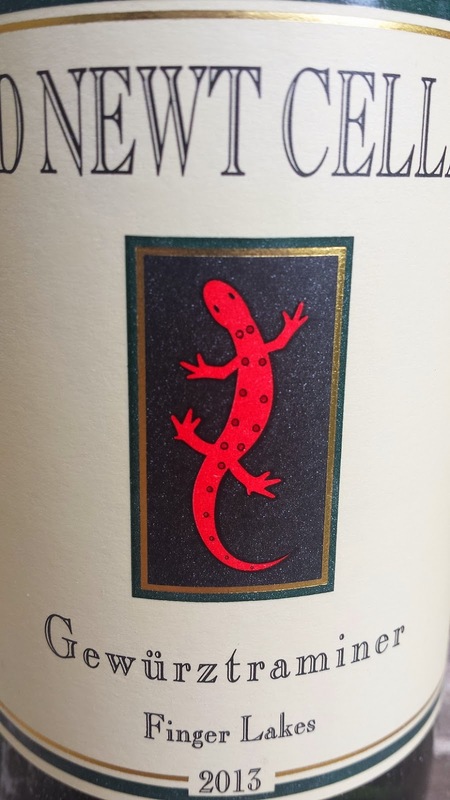 The most unique wine of the evening was the Red Newt Cellars 2013 Gewurztraminer ($15, 13%). Although it carries .9% R.S., this wine tastes completely dry. At the same time it doesn't lose the standard Gewurztraminer spiciness and actually maintains a fair amount of complexity of flavors. There's some pears and floral elements, weighty silkiness, along with a mighty spicy finish. 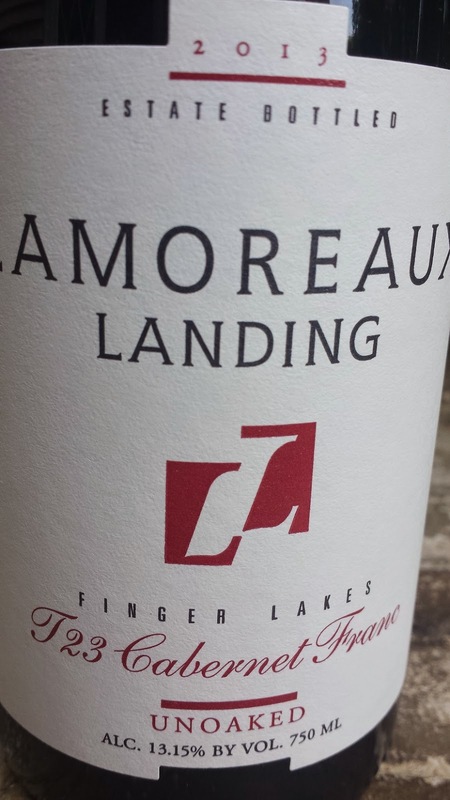 The final wine was a knockout, the Lamoreaux Landing Wine Cellars 2013 T23 Cabernet Franc ($20, 13%). The grapes were fermented and aged in stainless steel (Tank #23) with no oak treatment. Despite that process, there is plenty going on here, starting with a heavy sour cherry aroma and a cooked or dried cherry flavor. There's also a bit of tobacco and cinnamon with moderate acids. This wine could also be served slightly chilled as a rosé style offering and it apparently ages gracefully. The winery has been able to produce this wine since 2007, but it sells out quickly. I'm getting mine this summer during the 2015 Wine Bloggers Conference. Cheers. 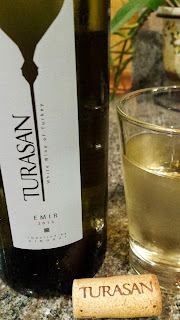 May's #WineStudio continued it's focus on VinoRai's program to import Turkish wines into the United States. Last week we learned about the program as well as tasted the Turasan 2013 Emir ($14, 13.5%). 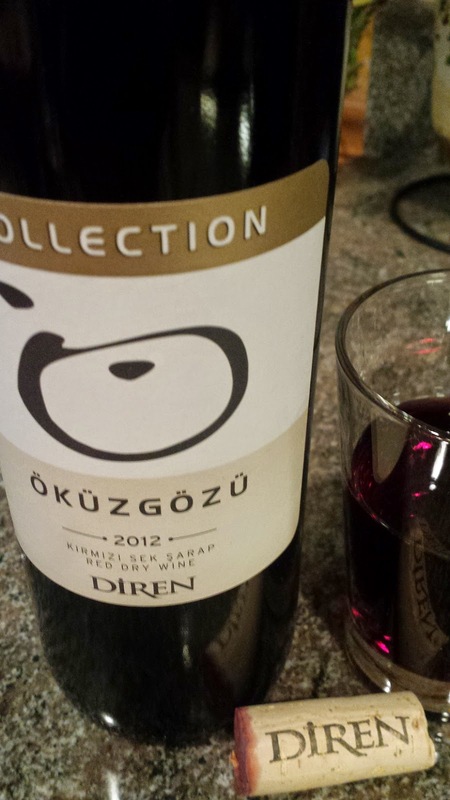 This week we continued our introduction to Turkish wines with the Diren 2012 Öküzgözü Collection ($15, 13.3%). This wine consists of 85% of the indigenous Öküzgözü grape as well as 15% Cabernet Sauvignon. The Diren winery is also located in Anatolia, this time in the Tokat region. It was started by Mustafa Vasfi Diren in 1958, with his son Ali taking the helm in 1985. Although French, the winemaker, Jean Luc continues the tradition on focusing on indigenous varieties. Öküzgözü is a favorite and typically produces "medium-bodied wines with ripe fruit and spice flavors with plenty of acidity". The Diren Öküzgözü was fermented and aged in stainless steel and interestingly, aged 1.5 years in stainless steel. This creates an easy finish with any spiciness an inherent attribute of the grape. The front end starts very dusty but eventually opens to a sour cherry - plum profile and a very easy finish. Another great value wine. Cheers to VinoRai and Turkish wine. 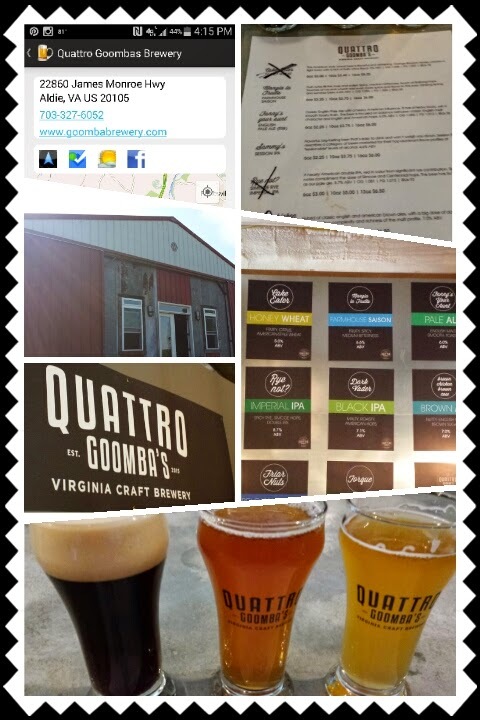 Loudoun County is full of great wine destinations and one popular site has always been Quattro Goomba’s Winery. Following the Corcoran model this month, the operation enhanced their profile by establishing a working brewery onsite: Quattro Goomba's Brewery. The grounds are a great picnicking location with plenty of room for games and blankets. If you forget to pack a picnic, don't worry, the onsite pizzeria (Quattro, the Pizza Shop) makes a tasty pie. On our arrival my son joined a wiffle ball game and afterwards there was ample space for outfield practice. The brewery is located in a barn next to the winery - however the two operations can not mingle. Beer must remain in the brewery and no wine is allowed inside. Silly regulations.The brewery produces small batches of multiple styles, however, these tend to disappear on busy weekends. Thus, there were only three choices on our arrival. In general, these were solid beers, representative of their style. Mangia la Frutta Farmhouse Saison - some wheat and rye with fruit and spices throughout. Very nice. Fanny's your aunt English Pale Ale - not as hoppy as their American brethren, a refreshing beer. Torque Milk Stout - creamy with roasted chocolate flavors. The lactose presents a favorably profile even on hot days. One difficulty in completing the #VABreweryChallenge is that new breweries continue to open in the Commonwealth. The latest is Vienna's Caboose Brewing Company, which hosted their ribbon cutting ceremony last night (5/21). The brewery is located at Mile Marker 12 on the W&OD Bike Trail, just past the red caboose while heading west. Matt and Jeanine Greer and Tim and Jennifer McLaughlin have been planning for over a year to get the proper permits, licensing, equipment for this hybrid gastro-pub and brewery. The kitchen will follow the "Farm to Table" model sourcing ingredients from local farms and artisans. The establishment will also highlight these local resources and the current menu included rabbit pot pie, grass fed beef cheeseburgers, Maryland crab soup, and Virginia bratwurst. The brewery utilizes a 15-barrel system with former Heavy Seas brewery Chris Mallon in charge of production. 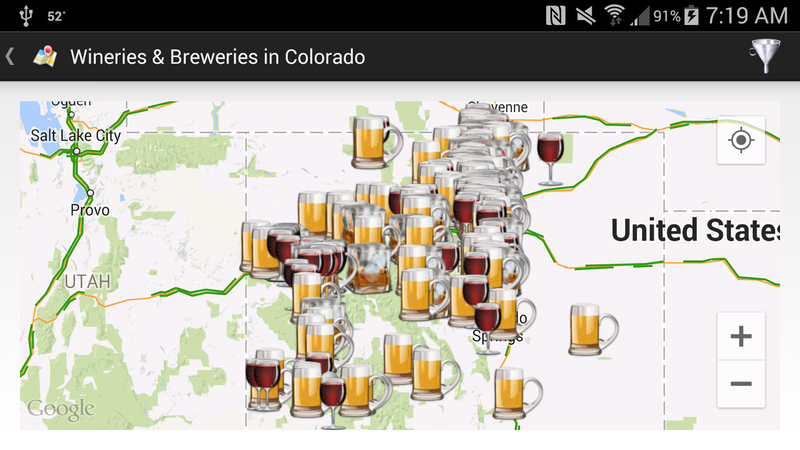 The beer menu encompasses a variety of styles from light to dark, easy drinking to spicy. Being a chilly evening, last night I enjoyed their Casey Jones Rye Pale Ale (5%) and the Vanilla Hobo Stout (7.0%). The rye had a nice flavor profile, slightly spicy and a clean finish. The stout has just a subtle hint of vanilla, with a creamy roasted chocolate flavor. Update: Today (5/22) I stopped by the brewery after a lunch time bike ride after seeing some patrons on the patio. Currently the brewery opens at 4PM during the week (Tuesday-Friday), but prudently opened the tasting bar today. The beer of choice was the Citra Wheat, a full bodied refreshing beer and one that non-wheat beer lovers should sample. Since citra hops are used, the beer tastes more on the pale ale side of the house than wheat. Cheers. As Spring hits peak bloom and Summer on the horizon it's time to start thinking of refreshing white wines and a good place to start is the signature grape of Sonoma's Dry Creek Valley: Sauvignon Blanc. This week I received samples from three wineries in this region and came away quite impressed. These were not your lemon grass kiwi style Sauvignon Blancs; instead they represented a richer and creamier Bordeaux style. 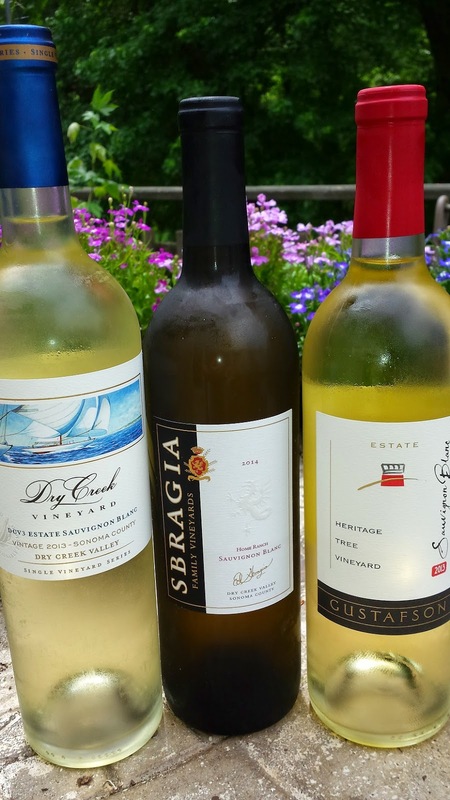 The wines were presented through a #DCVSauvBlanc twitter tasting and the virtual feed featured Ed Sbragia of Sbragia Family Vineyards, Emmett Reed of Gustafson Family Vineyards, and Tim Bell of Dry Creek Vineyard. And for you foodies, the suggested pairing for the three was shellfish - oysters, crabs, scallops. 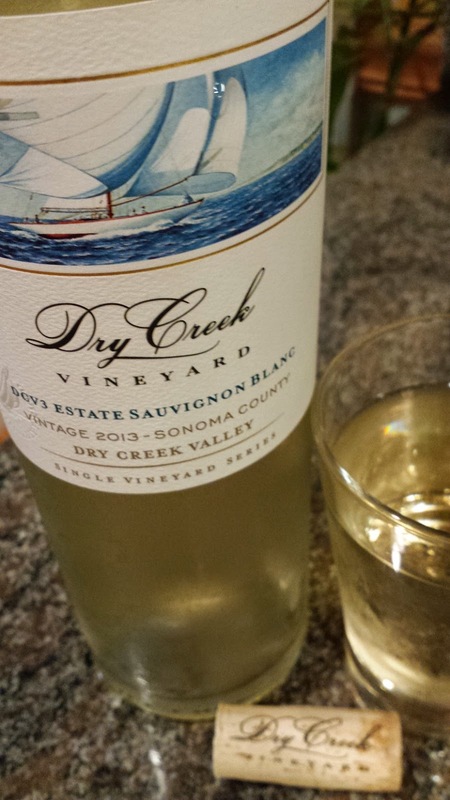 Dry Creek Vineyard was the first winery to plant Sauvignon Blanc in the valley, so it was suitable to start the tasting with their 2013 DCV3 Estate Sauvignon Blanc Dry Creek Valley ($25, 14.1%). The winery has 16 acres of the grape planted in this estate vineyard, a small fraction of the 9,000 acres of Sauvignon Blanc that is planted in the valley. However, this small production yields a powerful wine. It starts with a citrus aroma, then a creamy mineral laced middle, and finally nice acids with a subtle spicy finish. The lift from the mid-palette was most impressive. 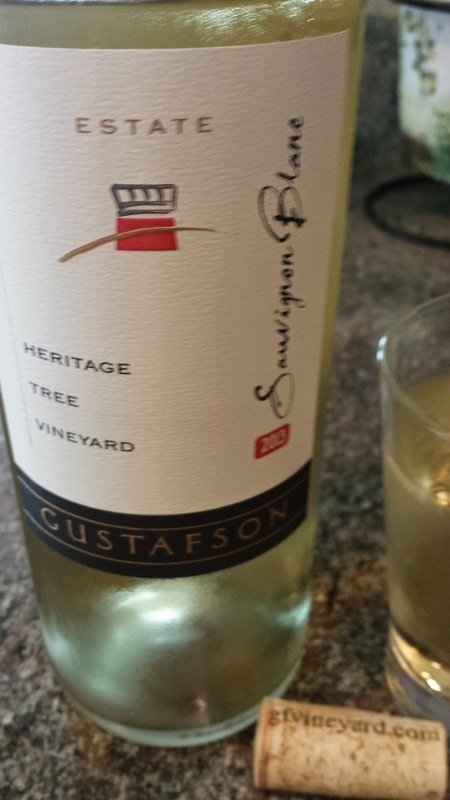 Next up was the Gustafson Family Vineyard 2014 Estate Sauvignon Blanc ($22, 14.1%). 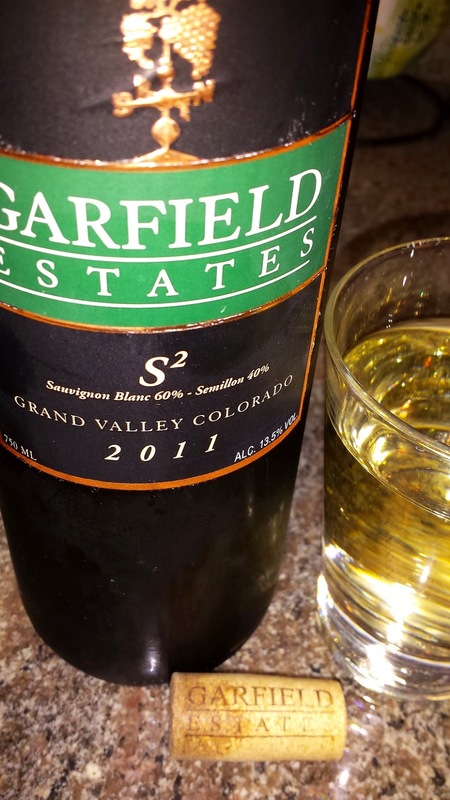 This wine includes a field blend of 20% Sauvignon Musque, a Sauvignon Blanc clone with more aromatic qualities. The floral and white fruit aromas are prevalent. The Gustafson estate is the highest of the three at 1800 feet consisting of rocky, red volcanic soil. The wine starts with a white fruit and spicy aroma, more spice and cream on palette, nice acids on the finish. This is not your typical Sauvignon Blanc, perhaps the most complex of the trio. 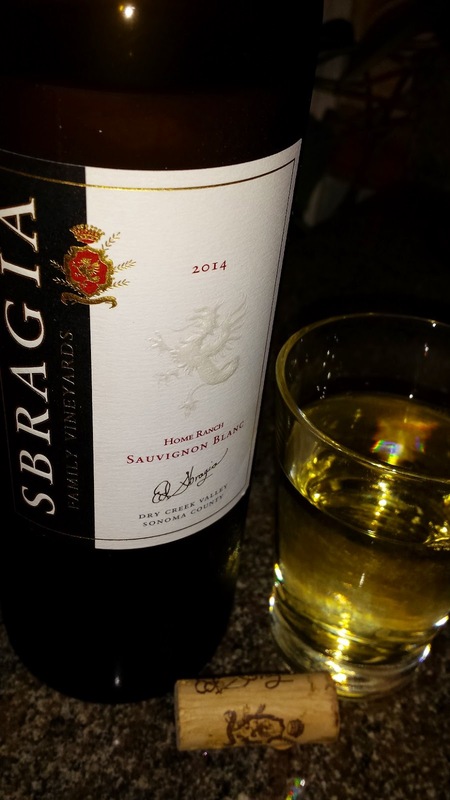 We finished with the Sbragia Family Vineyards 2014 Home Ranch Dry Creek Sauvignon Blanc ($22). Home Ranch is located on the east side of Dry Creek Valley and has been farmed by the Sbragia family for decades. The father\son winemaking team of Ed and Adam Sbragia, with Ed the former winemaker and current consultant at Beringer Vineyards. The Home Ranch vineyard is a cooler site, close to the ocean which attracts the heat. Thus expect higher acidity and this wine finishes with acids galore. It starts with a strong lemon-honeysuckle aroma, followed by a slightly creamy middle. And the tail stays around for an extended period. May's #WineStudio presents another opportunity to learn more about VinoRai's en devour to import Turkish wines into the United States. Whereas Turkey is the 6th largest grape grower, it accounts for only 2% of total world wine production. However, in the past 10 years there has been a resurgence in the Turkish wine industry, with wine makers focusing on that country's 800 native varieties. There are four major grape growing regions: Anatolia, Thrace, the Mediterranean, and the Aegean (the largest region). Wines of Turkey provides a nice overview of these regions; but in general, the coastal regions (Thrace, the Mediterranean, and the Aegean) have a more Mediterranean climate and specialize in international varieties. Regions further inland, such as Anatolia, produce wine from mostly indigenous varieties such as Emir, Narince, Öküzgözü, and Boğazkere. Cappadocia is a sub-region within Anatolia that has a continental climate with a large diurnal swing in temperatures, volcanic soils and high elevations (4,000 feet). According to VinoRai, wine making has occurred in Cappadocia for 7,000 years The region specializes in the Emir grape, in fact its the only region in the world where this grape is grown. Emir is an ancient grape having been vinified since the Hittite era (1700 BC). It is pronounced "eh-MEER" and translates to "prince" - most likely because it was once served as table grapes to royalty. VinoRai compares it to Torrontes and that was a suitable comparison when we sampled the Turasan 2013 Emir ($14, 13.5%). The Turasan winery was established in 1943; the first modern, private winery in the region; and the largest producer in the Cappadocia region. And the current winemaker is a third generation owner: Hasan Turasan. The grapes for the 2013 Emir were fermented in stainless steel then aged sur-lie. The result is a wine with a strong floral aroma; fresh meyer lemon flavor; with a balance between creamy minerals (salt) and refreshing acids. Very nice. The balloon on the label represents Cappadocia's popular hot air balloon tourism. Need to put this area on the agenda. Cheers. This Mother's Day, we headed to eastern Pennsylvania and the former DuPont estate, Longwood Gardens in Kennett Square. Yes, the estate is a gardeners and landscapers dream destination and well worth a visit. The gardens are located southwest of Philadelphia, within the Brandywine Valley, home to many wineries plus a small wine trail. Breweries are also abundant, with my favorite, Victory Brewing Company located due north of the gardens in Downingtown. You can begin your tour of this brewery at The Cafe, Longwood Garden's popular eatery, with their excellent Prima Pils. Sadly, that's the only local option within the garden complex. However, within Kennett Square proper there are two local options for a quick side trip, the Galer Estate Vineyard and Winery and soon to open Kennett Brewing Company. 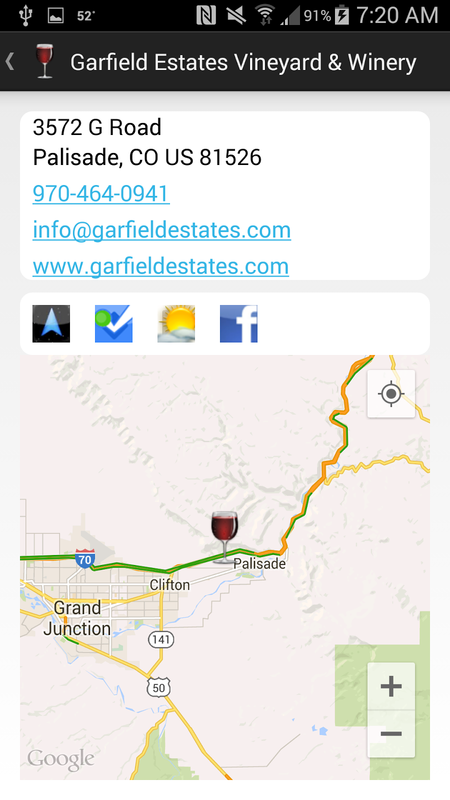 I will update the post once the brewery opens, but beware that Galer Estate has an over 21 only policy. Families, like us, must choose other options. Thus, at the conclusion of our garden visit, we took a beeline to Chaddsford Winery, one of the oldest in Pennsylvania by opening in 1982. Today, the winery is the largest in the Keystone State, producing over 25,000 cases annually. Many of these are festival styled sweet wines to satisfy local tastes, but there are several wines more suitable to drier palettes. One of these is evidently their Blaufränkisch, sadly not on the tasting menu, but a persistent medal winner. Three on the tasting menu that I did enjoy were the Proprietors Reserve White ($15), the Barrel Select Chardonnay ($22), and the Pinot Noir ($25). The first was a rather tasty 50-50 blend of Seyval and Vidal with plenty of acids to compensate for the slight RS. The Chardonnay was my favorite, with a slight creamy middle, accentuated by partial oak treatment. And the Pinot was light bodied with tart cherry flavors and slightly spicy finish. These were solid local wines. theCompass Winery, Brewery, Distillery Locator Mobile App displayed many other wineries and breweries that we couldn't visit due to time constraints. Ten Gallon Hat Winery is right down the road from Chaddsford with Penns Woods Winery and McKenzie Brew House - Chadds Ford not far away. 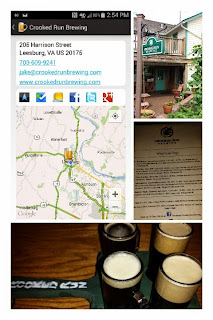 West Chester is home to three breweries (Boxcar Brewing Co., Iron Hill Brewery & Restaurant, and Levante Brewing) and make sure you check out the four wineries in the Brandywine Valley Wine Trail. Next time. Cheers. Whenever I visit Florida I make sure I spend some time at a local Total Wine since these stores also carry spirits - unlike in Virginia. 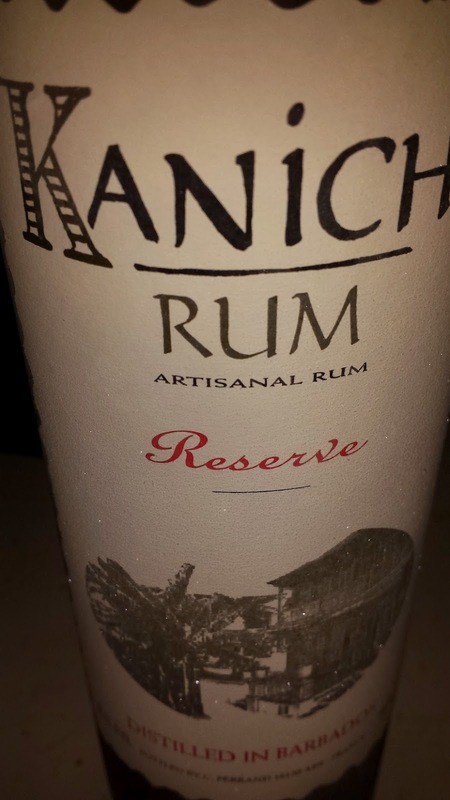 In particular, I usually seek out new rum brands and on my latest trip I discovered the Kaniche Reserve ($17). The brand is owned by the Cognac Ferrand house, where the rum is distilled from fermented molasses in Barbados and then aged in bourbon casks in that country. The rum is then aged one year in Pierre Ferrand cognac casks back at the Cognac Ferrand estate in Charente, France. The Kaniche is the first rum I've sipped aged in used cognac barrels and the result is an extremely unique rum. There are some similarities to the Ron Zacapa XO as regards to sweetness and spiciness - just not the depth (only 1/3 the price too). There's an herbal quality to the aroma, with plenty of honeyed vanilla and nutmeg in the flavor profile. The rum finishes with dry with a limited burn. For the price, a quality value rum.